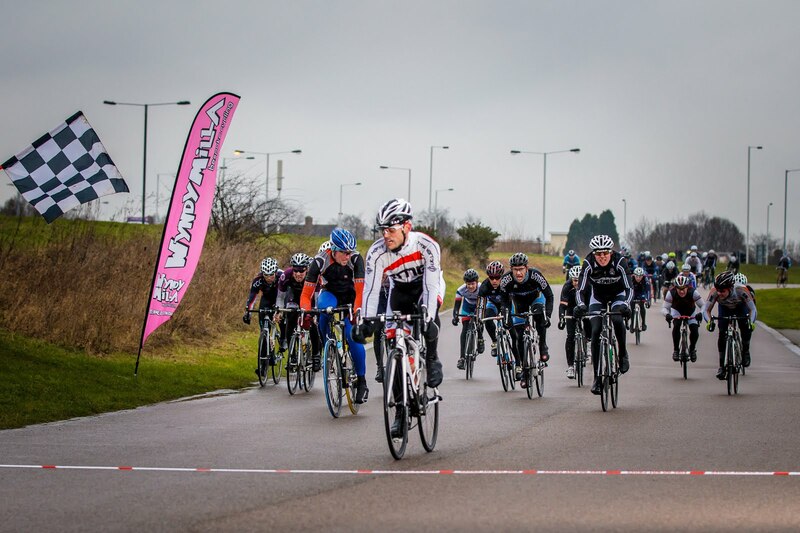 Neil rounded off the Imperial Winter Series at Hillingdon on Saturday with more top placings in the finale. Bouncing back into form after a couple of weeks of cold, he threw caution to the wind and powered to the Prime win, fending off a spirited challenge from 2nd placed Greg Wiltshire of Kingston Wheelers. Launching early for the finale, he established a gap out on his own of 50+ metres, but the extra time in the wind took its toll and he was passed in the closing seconds by James Golbourne of Team V-Sprint who took the win. New team member Michael Skipsey added to the growing sense of anticipation within the team as he crossed the line in 12th place - part of an accelerating rise of form for the Fireman from Luton. Honours followed swiftly when Neil received the Green Jersey. Presented by Tony Doyle MBE, it was his reward for the strongest Prime Performance over the whole Winter Series. He took 5 Prime Wins out of a total of 10 events and with 61 points, he managed a relatively comfortable victory over 2nd placed Greg Wiltshire. "I started racing the Sprints as practice really," he said afterwards. "But once I realised I could compete and it added a bit of spice to the main race, it started to become more of an end in itself."